What Are the Benefits of Court Video Recording? Court video recording in San Jose, California is a valuable court reporting service that is offered by the best court reporters in the area. There are significant benefits to having access to court video recordings in addition to audio recordings and legal transcripts. Here is a look at some of the reasons that court video recording should be a standard element of your court reporting services. While professional court reporters have extensive training and experience that significantly reduces the risk of legal transcription errors, a court video recording adds another layer of security and reliability to your legal transcripts. If there is ever any doubt as to what someone said during a legal proceeding, you can rely on court video evidence to ensure that you have the most accurate record. 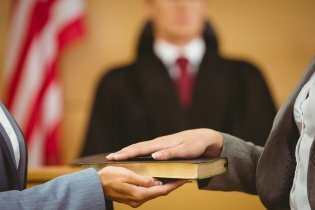 Court video recording also provides a more comprehensive record of court proceedings, as you’ll be able to review court videos and evaluate people’s behaviors, mannerisms, and speech patterns. A court video recording can be made accessible to you sooner than a legal transcription. This means that you can review the court proceeding for valuable information without having to wait for the official written transcript. This makes it much easier for you to prepare your next case strategy, draft important legal documents, and organize your case more efficiently and effectively. 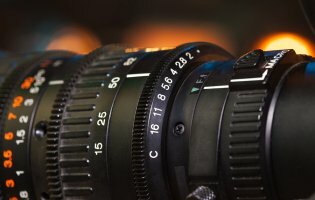 Members of your firm can access your court video recordings via any computer through your secure online transcription repository, which makes it much simpler to share information and work on a case simultaneously. Using both written legal transcriptions and court video recordings allows you to synchronize the two into a powerful digital transcript. Your legal transcriptions can include hyperlinks that lead to the exact moment during the court proceeding that those words were spoken. This is very effective when you want to bring someone up to date on an old case that is being appealed, or if you’re bringing in someone new to work on a current case. Court reporting services are becoming more advanced every year with new technological developments that make it easier and faster to receive high quality legal transcriptions, legal videography, and document digitizing in San Jose, California . Watch this video to learn more about the ways that technology is changing the future of court reporting services. Court reporters can now offer high-tech court video recording services, which provide you with a court video that is synchronized with your legal transcription. They also provide document digitization, allowing you to quickly and easily access a secure, online transcription repository from any computer. Just as technology is continually advancing and evolving, so are court reporting services in San Jose, California . Technological advances help professional court reporters work faster, smarter, and more accurately. Here is a look at how advanced technology can benefit today’s court reporting services. The high quality video conferencing solutions that some court reporting companies offer can be incredibly valuable for a number of different scenarios. Video conferencing allows you to hold real time, face-to-face meetings with people who are out of state or even out of the country. This will not only save you from travel expenses, but also allows you to communicate much more easily, and maintain a more personal connection with your clients and business associates. Video conferencing also affords you or your employees the ability to get important work done while stuck at home or on the road. When you hire a court reporter for legal transcription of a hearing, deposition, mediation, or other important meeting, you may need quick access to your transcripts. A court reporting company can provide document digitization and transcript repository services that will keep your important documents secure, and quickly and easily accessible when you need them the most. Document digitization of legal transcripts allows anyone in your firm to access your firm’s transcript repository and view or print your transcripts. This incredibly efficient process will revolutionize the way that you work on cases. Legal videography is another technological advancement in court reporting services that has a range of important benefits. Your court reporter can provide both a legal transcript and legal video of a court proceeding, and the two formats can be synchronized to allow you to easily access, edit, and present court video recordings. Legal videography will help you organize your case more effectively and efficiently, access critical information quickly and easily, and view your legal transcript and court video recording simultaneously. In today’s fast-paced business world, it can be difficult to be everywhere you need to be in person. That’s why video conferencing has become a popular choice for many different professions. When you and your clients don’t have to physically be in the same place, videoconferencing provides flexibility and convenience for everyone involved. A video conference can originate in one city, with participants across the state, country, or even world still being involved. In contrast to a conference call, video conferences provide an added level of familiarity and a personal touch since you can see as well as hear everyone involved. Take a look at this infographic to learn more about the benefits of video conferencing in San Jose, California . Please share with your friends and colleagues.